Colorado's four National Parks — Rocky Mountain, Mesa Verde, Great Sand Dunes and Black Canyon of the Gunnison — are home to some of the world's most wondrous and diverse scenery. As a tribute to the grandeur of the Rocky Mountains between Estes Park and Grand Lake, this park encompasses the pure and natural beauty of the region. With high-mountain lakes and streams, peaks more than 14,000 feet, thick evergreen forests and thousands of acres of wildlife, this national park conjures up what most people imagine when they think of the Rockies and finds its way onto most visitors’ travel itineraries. And with so much to see and do within its 415-square-mile boundaries there’s no wonder its popularity endures. Convenient lodging is available in the picturesque gateway communities of Estes Park and Grand Lake, or Rocky Mountain National Park camping is also popular. Open from Memorial Day to late autumn, Trail Ridge Road — topping out at 12,183 feet — is the highest continuous paved road in the United States. Get an unforgettable look at the top of the Rockies while taking this one-of-a-kind drive. 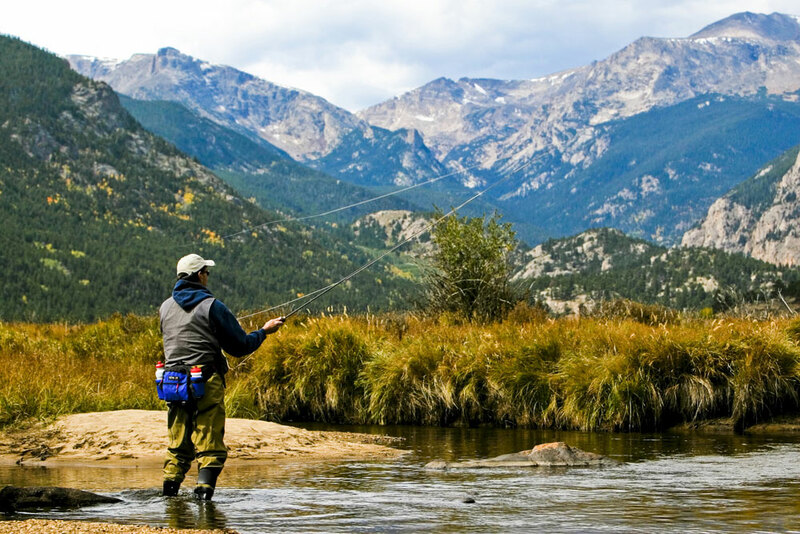 Check out an itinerary for exploring Rocky Mountain National Park. Mesa Verde National Park, located in southwest Colorado near Cortez, is home to some of the most unique Ancestral Puebloan dwellings in the world. Well-preserved and well-studied, these dwellings have been inspiring interest in this ancient culture for more than 100 years. Tucked securely into cliff walls, the adobe-constructed homes are a novel sight to visitors who crane their necks skyward to see them. On Mesa Verde tours, ladders give guided groups access to the cliff dwellings, and park rangers offer glimpses into the daily lives of Ancestral Puebloans. One-hour walking tour of Cliff Palace, the largest cliff dwelling and home to multiple living enclaves and buildings. You can expect to do a bit of mild climbing and walking, as the route first descends roughly 100 feet over uneven steps and ascends a series of eight-foot ladders to access and exit the site. 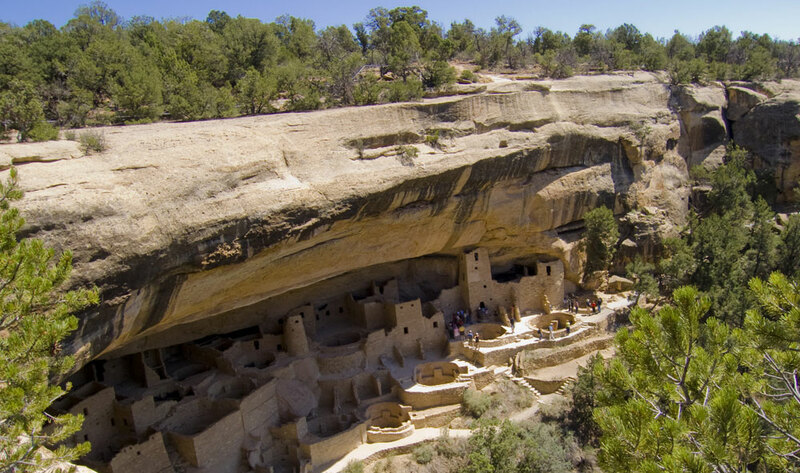 Read a Mesa Verde National Park itinerary. Nowhere else in the United States do mountains of sand stand higher than in the Rocky Mountains at Great Sand Dunes National Park in Colorado. The tallest dune towers 750 feet high at an elevation of 8,700 feet above sea level. 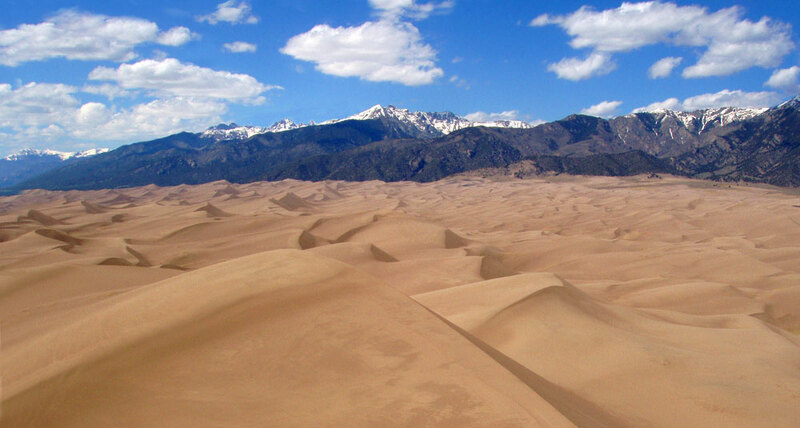 The entire dune field itself, located near the town of Alamosa, encompasses 30 square miles within the 150,000-acre park. Aside from the dunes, you'll find abundant hiking opportunities, as well as a four-wheel-driving trail along the challenging Medano Pass — an off-road route that stretches roughly 25 miles from within the park to the town of Gardner. Regardless of the season, park visitors on skis, snowboards and sleds carve their way down the dunes much like they would on the famous Colorado ski slopes. If you want to give it a try, just look for the steepest part of any dune, point yourself down it, and let gravity work its magic. Read 2 Days in the San Luis Valley & Great Sand Dunes National Park. Sheer black walls plummet up to 2,700 feet on this 53-mile stretch of narrow gorge near Montrose, which reveal millions of years of natural history. Since its documented European discovery in the 1700s, the gorge has been renowned for its dramatic scenery and recreational opportunities. Not to mention its history: The Denver and Rio Grande narrow gauge railroad once traversed the mouth of this fissure that plunges into the Rockies. Today, the train is paid homage by an informative railroad museum and ranger talks throughout the park. This national park provides an array of outdoor activities, which means there is truly something for everyone. Auto touring, wildlife viewing, camping, cross-country skiing, snowshoeing, fishing, hiking, horseback riding, kayaking and stargazing ... they're just the beginning of your many options. 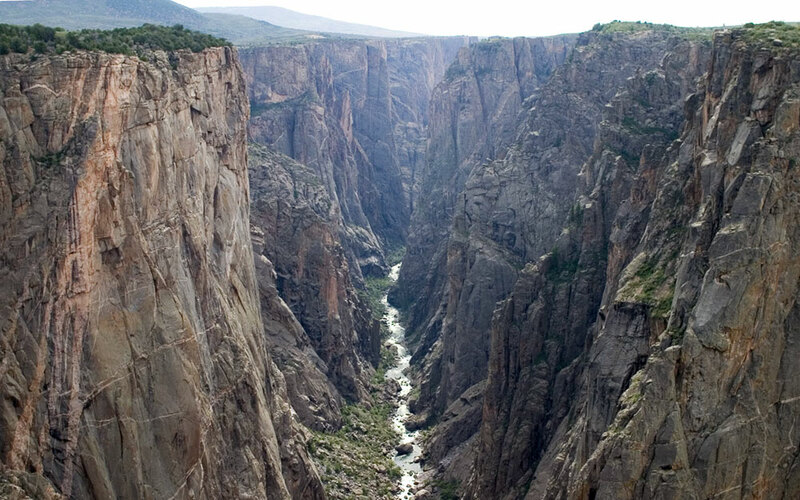 Check out a 3-day itinerary for the Black Canyon of the Gunnison National Park area. Colorado is also home to eight National Monuments and three National Historic Areas. Check out Magic Moments on Colorado's Public Lands, Winter Activities in Colorado's State & National Parks and Fun Facts about Colorado's National Parks. Black Canyon photo courtesy of the National Park Service/Lisa Lynch; Great Sand Dunes photo courtesy of the National Park Service. Walk down the world’s longest footbridge while scouting large cats and bears lounging in the shade or splashing around a pool.